We are in the final countdown to Christmas, so I'm sharing a festive outfit that you can wear to any of your Christmas events. 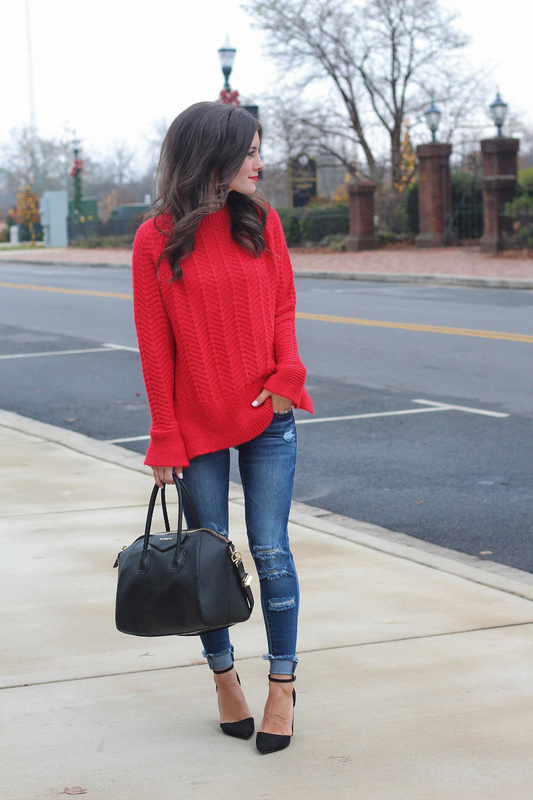 Anything red screams the holidays, and this sweater is perfect! It is soft (not itchy at all!) and I love the cut-outs at the arms & sides. 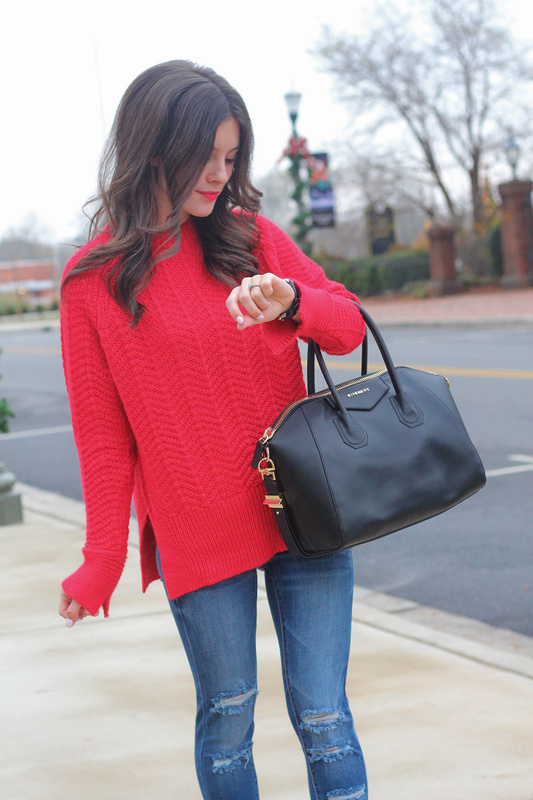 Also, that nice oversized look is perfect to hide that Christmas dinner ;) This sweater is a steal at only $20 and also comes in beige which I am really tempted to get! 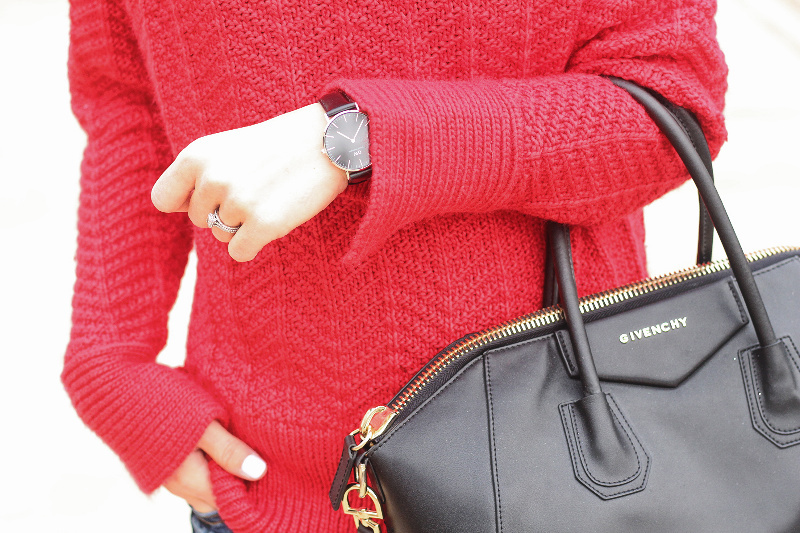 If you haven't noticed, I love matching my accessories. I feel like it pulls the whole look together. I went with all black for this look giving it more of an evening outfit vibe. 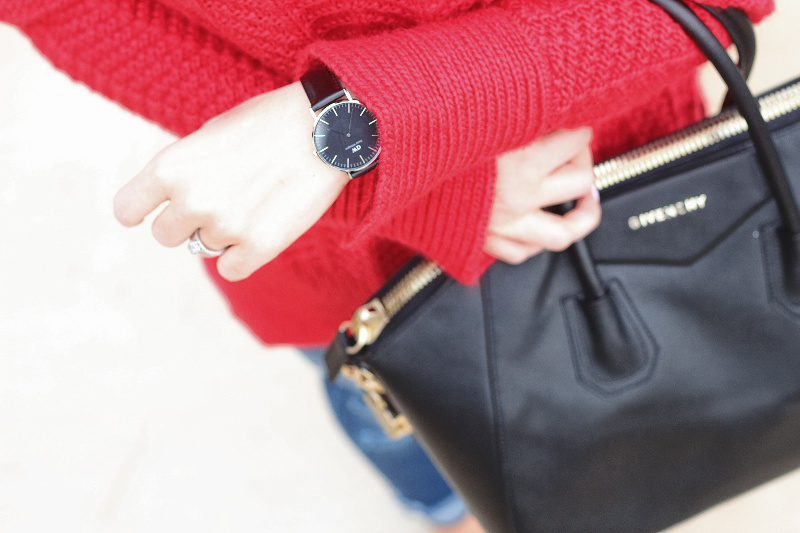 I especially have been loving my Daniel Wellington watch lately so I couldn't keep it away for this look. They've got tons of different style watches to choose from, but this one is my favorite. It is so slick & classy and I can't stop wearing it. Not to mention, it makes the perfect last minute gift for that one person you can't quite figure out what to get. 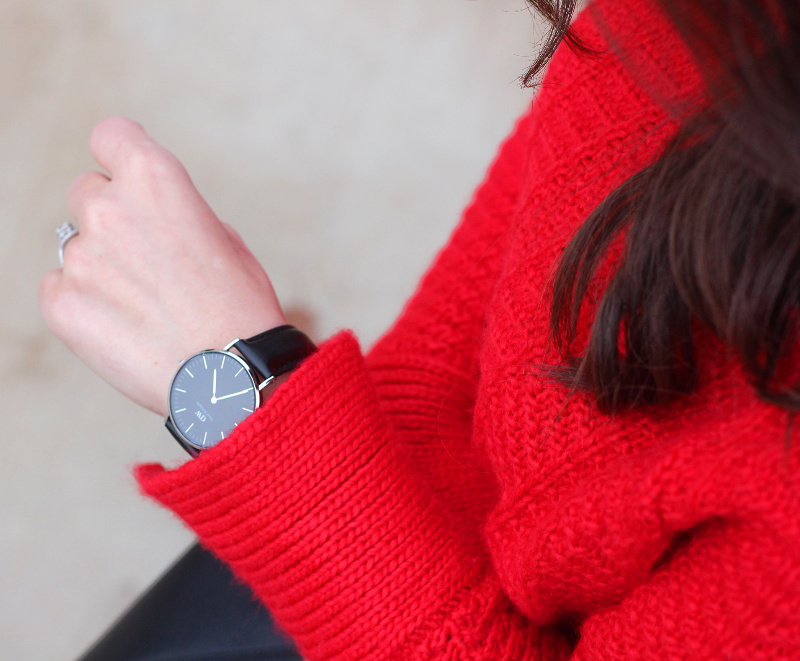 Like I mentioned above, you can get their watches for 15% off using the code: MRSSIMPLYLOVELY. XO! Love this! Can I ask What size you ordered? Sometimes their sizing can be weird and I want to get the right size. Thanks!! Thank you! I got a size small. I usually size one up in sweaters for a looser fit.